Windows 2008 R2 screen and mouse sluggish! I’ve had a number of emails recently asking about why when accessing a Windows 2008 R2 server using the VM console the display and mouse are very sluggish. Well the answer to this is because by default a Standard VGA Graphics Adapter is installed (figure 1) when you have your video RAM set yo 8MB in your virtual machine properties. 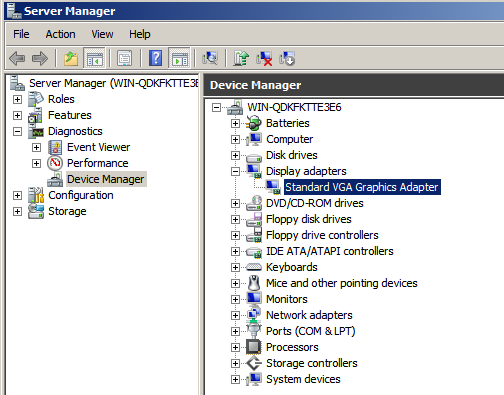 To change this you will need to upgrade the display adapter by using the driver in C:Program FilesCommon FilesVMwareDriverswddm_video this will install the new WDDM device driver. After the upgrade and a reboot your system should be fully responsive. 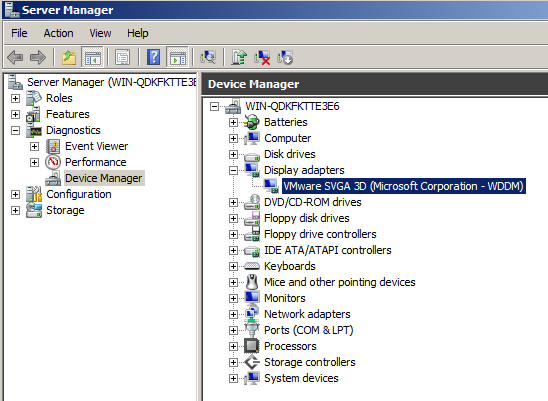 Look in device manager (figure2) and check to make sure this change has occured.